If you are an adventure junkie,you needn't pack your bags and take a flight out of India.Represent your company or come as an individual,you are sure to have an experience of a lifetime.Enroll for tandem,static and free fall courses. Instructors are highly experienced instructors and expert jumpers who have trained hundreds of parachute jumpers in the past. The experience level varies from 500 jumps to over 5000 jumps. IPF also understands and distinguishes between an experienced jumper and an instructor, they are two different things which a lay man gets mixed up with. All training is planned by instructors. Selection of instructors has been made on merit.All IPF instructors have been former instructors at Paratroopers Training School of the Indian Air Force at Agra for a decade or more. 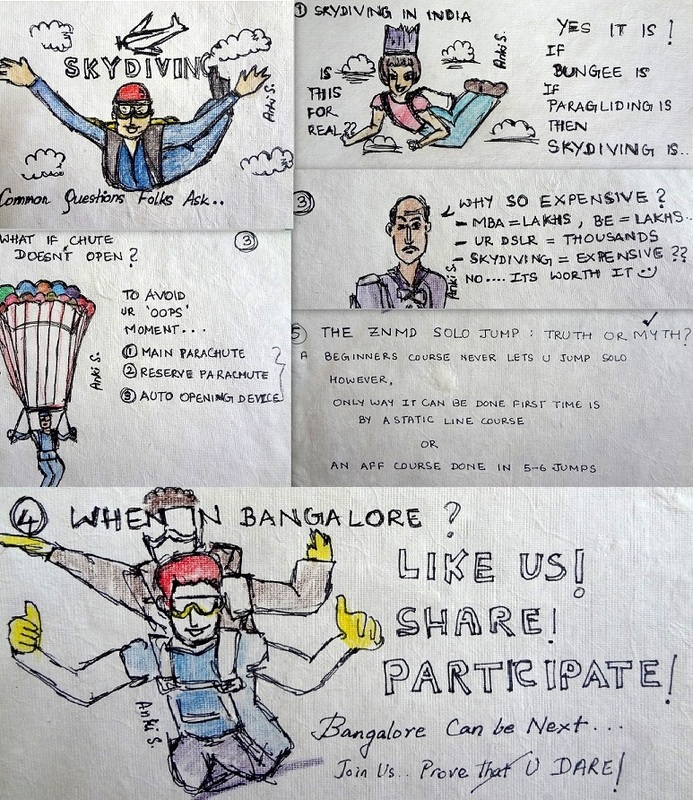 SKYDIVING IN INDIA..COMMON QUESTIONS FOLKS ASK.. Successful completion of camp in pune from 2nd April-8th April and dhana sagar MP 6-8th June. Skydiving in Pondicherry: 29June-8th July! Venue: Drop Zone in Pondicherry Airbase (2.5 hours drive from Chennai / 5 hours drive from Bangalore). Contact me at ankionthemove@gmail.com or call me 9845088909 for the schedule and details.Hurry,only 3 seats left! I want to do in 1st week of October in pondichery.